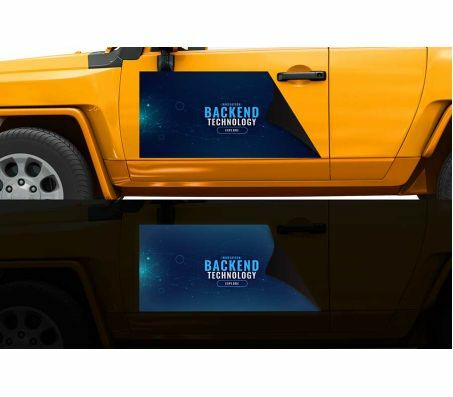 These handy car door reflective magnets let you advertise on the road without permanently modifying your vehicle. They’re also useful when you need driving in the dark night. These durable 33 mil reflective magnets are strong enough to remain firmly attached to moving vehicles. If you’d like assistance ordering car door magnets for your business, we’re more than happy to help. We strongly believe that excellent customer service is the cornerstone of any business, and our dedicated experts are standing by to handle any questions or requests you may have. High-quality magnets add professionalism to your company’s vehicles. The promotional materials you use can give your organization the competitive edge, so upgrade today. To speak with one of our representatives now, call (702) 754-6360, or feel free to email us at info@777sign.com for a fast response. Order custom car door magnets for less at 777 Sign now.